Its here!! *happy dance* After what felt like ages Maybelline has finally launched it here in India. Who doesn’t want false big lashes without the false lashes! Mumbai, September, 2012: Long eyelashes have always been seen as a sign of femininity and beauty, the longer and the thicker they are the more beautiful, feminine and desirable they make their owner. Long eyelashes can make eyes look bigger, fuller and more inviting, but not all of us are blessed with sky-high lashes. Presenting ’The Falsies Mascara’ from Maybelline New York, world’s #1 makeup brand that enhances eyelash length, thickness and color to achieve the long eyelashes of your dreams. Yet another innovation from its leading mascara franchise Volum’ Express, The Falsies Mascara creates the illusion of long, batty eyelashes to give you the most volumized lashes ever! The groundbreaking The Falsies mascara gives you a full set of voluminous and bold lashes which help you achieve volume styles to keep up with the current make-up trends. The mascara redefines volume for really long lashes and is designed to give the appearance of no gaps and spaces. The Pro-Keratin and Fibre enriched formula is designed to deliver immediate results. 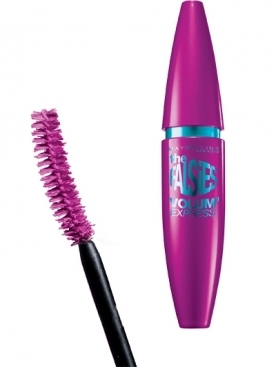 The formula helps in distributing volume and visible intensity to the lashes, and also gives 300% more visible and fuller lashes with a unique flexible wand. The spoon curler brush comes in a shape of false lashes so it’s a cinch to reach every last lash. The brush fans out the lashes corner-to-corner for an ultra glam look like never before. So, ditch your false lashes and try the new falsies mascara today!